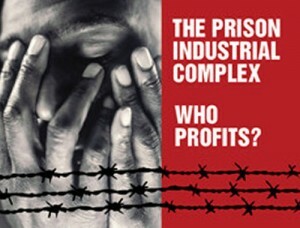 How Far Are Private Prisons Willing to Go For Profit? How far will for-profit immigrant detention centers go for a dollar!? Pembroke Pines voted to cutoff water and waste services to Corrections Corporation of America (CCA) in Southwest Ranches; a clear message that South Floridians repudiate the private and abusive facilities! The response? CCA is NOW suing the town and going to the extreme to continue this nightmare. Well, that was quick. Pembroke Pines commissioners voted last night to rescind a contract to provide fire, EMS, water, and sewer services to Southwest Ranches, in opposition to a planned ICE detention facility being proposed by Corrections Corporation of America. -- This lawsuit was waiting in the wings as Pembroke Pines commissioners took their vote. Poliakoff says that Pines City Attorney Sam Goren was advised of its existence last night. It's obviously something that Sam Poole and CCA legal have been spending some time on. "All of us had known that CCA was filling this against Pines," says Poliakoff. -- Moving to federal court nullifies a legal "declaratory action" that Pines was planning to take, asking a judge to decide whether they could legally deny services to Southwest Ranches. That action was to be filed by Pines despite last night's simultaneous decision to cancel the contract. -- "I personally believe that CCA has numerous options" for water and sewer other than Pembroke Pines, says Poliakoff, Still, he says, "the other options were more costly. The tie-in to Pines made the most economic and logical sense." -- But it's worth noting the dire language in the complaint above: "As a result of the City's complete reversal, CCA stands to lose its business relationship with ICE..."
-- This will likely be a relatively fast case in federal court: Poliakoff anticipates a decision within eight to nine months. Meanwhile, CCA's efforts to build the facility will proceed. -- For the first time, Poliakoff mentioned to us the possibility of not building the facility, but it came with a warning of big consequences. "Hypothetically speaking, if ICE denies the contract and CCA blames the decision on Pembroke Pines, the city will be liable for a huge amount of money. We're talking hundreds of thousandsmillions of dollars." -- If CCA goes ahead and drills its own wells, etc., and a federal judge then rules against Pines, the city could be on the hook for all the extra costs of CCA's new water system.